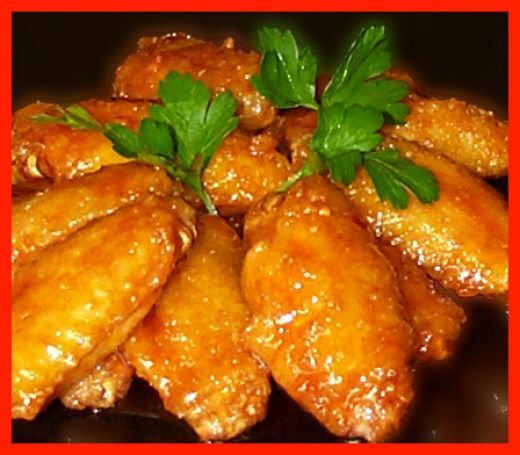 All the best low carb chicken wing recipes gathered together in one place. Perfect for your healthy Super Bowl party. One thing you may not know about me is that I am obsessed with chicken wings. Not mildly obsessed, but rather quite obsessed. Those little bitty chicken parts are on my mind very frequently. I love good, crispy wings and I love all the wonderful flavours you can add to them. I love the dipping sauces too; all that chunky bleu cheese or tangy ranch that cools down the heat of good hot wings. Mmmmm, mmmmm, my tummy rumbles just thinking about it. It’s astonishing that I only have two low carb wing recipes on this blog, given the frequency with which I eat wings. I’ve tried many methods, including oven-baking, smoking and deep-frying. I have even gone to the trouble of doing the double-fry to get really, really crispy wings. It’s a lot of work and your house will smell like fried wings for day, but it’s worth it on occasion. With the Super Bowl just two days away, you know I have chicken wings on the brain. They will be on the menu, of course, although I don’t know what kind yet. But I as I searched out ideas, I decided I had to share my love of chicken wings with you. There are just so many great low carb recipes and I want to make you as obsessed as I am! So dive in and check out all of these amazing recipes!